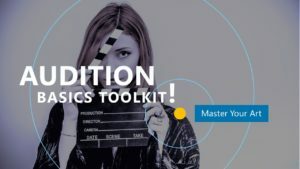 Awhile back, I wrote a short e-book called The Audition Basics Toolkit to try and help actors learn how to audition for both stage and film productions by amassing all the basics of audition training in one place (you can download it for FREE here). So, that document basically contains a list of all of the best information available for learning how to audition, including classic books, websites and other digital resources, classes and coaches in most major cities, etc. Writing that book got me to thinking, in a broader context, about what actors can read to improve their fundamental craft. And this train of thought led to a surprising conclusion. 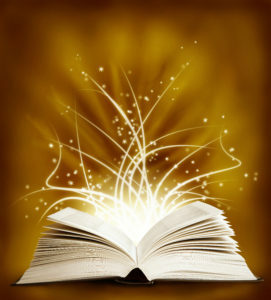 Many actors have read (or at least know they should have read) the classic books on actor training. Titles by such venerated names as Stanislavski, Chekhov, Meisner, Adler, and others. These acting theory books are an important part of learning about acting and also learning the shared language that most actors use to communicate with each other. However, in my humble opinion, these are not necessarily the most important books for an actor to read. Hearsay? Perhaps. (Although I have never been known for my mainstream views, even in acting circles!) What I realized when I reviewed all of the books I included in The Audition Basics Toolkit was that the most important books for actors are not actually books about acting; they are books about being a human being! So, I decided to put together a list of books that I find most helpful in understanding the human condition; the books I have read that have given me the greatest insight or illumination about life; the books that changed me and by extension, changed my acting, forever. Some of these books may be challenging to read. Some of them are quite fun. Others are literally mind blowing. Whatever your opinions of the following books, I will make you one promise: If you read all of the books on the following list, you absolutely, without a doubt, will become a better actor: guaranteed! How to Win Friends and Influence People by Dale Carnegie (1998). This book is a classic self-help book written by Dale Carnegie, a motivational speaker and salesman, first published in 1936. Over 30 million copies have been sold world-wide, making it one of the best-selling books of all time. In the book, Carnegie offers advice on building business and casual relationships, looking out side of the “self” to find other people’s interests and value them. While this book has nothing to do with acting (and may feel dated in some of its references), it does operate as an excellent “pop-psychology” book for understanding human relationships. Integral Meditation by Ken Wilber (2016). Integral Meditation is written by Ken Wilber, one of the world’s leading philosophers. 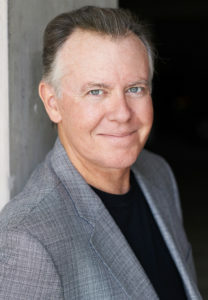 I include it on the list because it is not only an excellent guide to learn meditation practice (something I personally feel is important to every actor) but serves as a very accessible introduction to some of Wilber’s more important ideas about self-development which, if properly implemented, can literally change your life and the depths of your performance work. This material must be read and then practiced, but when it is, the results are undeniable and profound. If you read only one book from this list, it should be this one! A Brief History of Everything by Ken Wilber. Wilber is the only author to receive two slots on my list, primarily because his ideas are so mind-blowing. From the book jacket: Join one of the greatest contemporary philosophers on a breathtaking tour of time and the Kosmos—from the Big Bang right up to the eve of the twenty-first century. This accessible and entertaining summary of Ken Wilber’s great ideas has been expanding minds now for two decades, providing a kind of unified field theory of the universe and, along the way, treating a host of issues related to that universe, from gender roles, to multiculturalism, to environmentalism, and even the meaning of the Internet. If you click on the link for this title, it takes you to the purchase page for the 20th anniversary edition which includes a new afterword by the author. 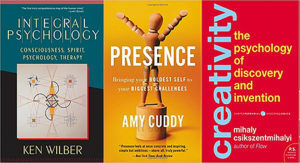 Presence: Bringing Your Boldest Self to Your Biggest Challenges by Amy Cuddy (2015). Amy Cuddy gave one of the most watched TED Talks in history (over 44 million views at the time of this writing) about using intentional posturing to build confidence and overcome fear in high pressure situations (like the audition room or stepping on stage). I describe Dr. Cuddy’s work in my book 150% Better Auditions (now available on Amazon.com) but for the full effect, you should really read it from cover to cover. Choke: What the Secrets of the Brain Reveal About Getting It Right When You Have To by Sian Beilock (2011), is another book I discuss at length (as it relates to auditioning) in 150% Better Auditions. Dr. Beilock (who holds two PhDs) looks at the phenomenon of “choking” in high pressure professional sports (not that far afield from professional acting). Choking is when great athletes (and other high performers) fail to perform at their maximum potential, or even flub up badly, under certain high-pressure conditions. A really useful perspective (backed up by numerous scientific studies) that is easily translated to the actor’s situation. Flow: The Psychology of Optimal Experience by Mihaly Csikszentmihalyi (2008), is a classic in what is now called “positive psychology.” Csikszentmihalyi’s famous investigations of “optimal experience” have revealed that what makes an experience genuinely satisfying is a state of consciousness called flow. During flow, people typically experience deep enjoyment, creativity, and a total involvement with life. In this new edition of his groundbreaking classic work, Csikszentmihalyi demonstrates the ways this positive state can be controlled, not just left to chance. The value of understanding flow states to the actor should be obvious (if they are not, then you have a double reason to read this book). Authentic Happiness: Using the New Positive Psychology to Realize Your Potential for Lasting Fulfillment by Martin E. P. Seligman (2004). Seligman is one of the co-founders of the field of positive psychology. According to Seligman, happiness is not the result of good genes or luck. Real, lasting happiness comes from focusing on one’s personal strengths rather than weaknesses—and working with them to improve all aspects of one’s life. Using practical exercises, brief tests, and a dynamic website program, Seligman shows readers how to identify their highest virtues and use them in ways they haven’t yet considered. The Farther Reaches of Human Nature by Abraham Maslow (1971). Abraham H. Maslow was one of the foremost spokespersons of humanistic psychology. In The Farther Reaches of Human Nature, an extension of his classic Toward a Psychology of Being (also highly recommended), Maslow explores the complexities of human nature by using both the empirical methods of science and the aesthetics of philosophical inquiry. With essays on biology, synergy, creativity, cognition, self-actualization, and the hierarchy of needs, this posthumous work is a wide-ranging synthesis of Maslow’s inspiring and influential ideas. Jung on Active Imagination by C. G. Jung and Joan Chodorow (1997). This book offers a collection of Jung’s writings on active imagination. Jung developed this concept between the years 1913 and 1916, following his break with Freud. During this time, he was personally disoriented and experienced intense inner turmoil—he suffered from lethargy and fears, and his moods threatened to overwhelm him. The technique of active imagination, when used as a tool by the actor, can lead to a direct contact with the individual subconscious and, when properly applied, uncover powerful impulses that translate directly into fundamental acting choices. I discuss the practical application of this technique to the acting process in my upcoming book, Psychology for Actors (October 2018 from Routledge Press). The Blank Slate by Steven Pinker (2003). In The Blank Slate, Steven Pinker, one of the world’s leading experts on language and the mind (Harvard University), explores the idea of human nature and its moral, emotional, and political colorings. Pinker argues that the dogma that the mind has no innate traits—a doctrine held by many intellectuals during the past century—denies our common humanity and our individual preferences, replaces objective analyses of social problems with feel-good slogans, and distorts our understanding of politics, violence, parenting, and the arts. Injecting calm and rationality into debates that are notorious for ax-grinding and mud-slinging, Pinker shows the importance of an honest acknowledgment of human nature based on science and common sense. Wherever You Go, There You Are: Mindfulness Meditation in Everyday Life by Jon Kabat-Zinn (2005). This is the second book on my list to deal with mindfulness meditation training. Kabat-Zinn is the creator of Mindfulness-based Stress Reduction therapy (MBSR), a secularized version of Buddhist meditation practice developed by Zinn for Western medical patients with stress disorders (or anyone else that feels stress in their life; like every actor I have ever met!). This book is a simple, accessible guide to basic meditation practice that every actor should read. Mindsight: The New Science of Personal Transformation by Daniel Siegal (2010). Author Siegal is a neuroscientist that specializes in the integration of brain science with psychotherapy. In this book he offers an extraordinary guide to the practice of “mindsight,” the potent skill that is the basis for both emotional and social intelligence. He argues that most of us have a mental “trap” that causes recurring conflict in our lives and relationships and shows us how to use mindsight to escape these traps. Through his synthesis of a broad range of scientific research with applications to everyday life, Dr. Siegel has developed novel approaches that have helped hundreds of patients free themselves from obstacles blocking their happiness and these exercises can be used to improve your acting. For a more complete list of books for actors (including books about acting itself), you can see my e-book The Audition Basics Toolkit. As a final note, there are two other books specifically about the process of acting that I would strongly recommend. They’re both by me, so forgive the blatant self-promotion, but I think you may find them useful (or I wouldn’t have written them in the first place!). The first is called Advanced Consciousness Training (A.C.T.) for Actors and its main job is to teach actors how to focus their attention and reduced nervousness through the practice of meditation. It will be coming out in September 2018, and I hope you will look for it. The second is called, Psychology for Actors, and it applies the theories of almost a dozen 20th Century psychologists to the actor’s craft. It also will be coming out in late Fall, 2018. These two books together represent a comprehensive system for improving the quality of your acting work that goes beyond the traditional techniques taught in acting classes. I hope you find this very brief list of books for actors (and human beings) helpful. If you’d like to engage in conversation about this list, or suggest some titles of your own, feel free to visit my website and leave a comment: www.KevinPage.com. I hope to see you there, and until then: happy reading and happy acting!